Okie, well this is my wallpaper it is sailor moon. Some of you hopefully miss sailor moon as much as I do. I don't reguarly see that much sailor moon anymore so to show my love I made a wallpaper. 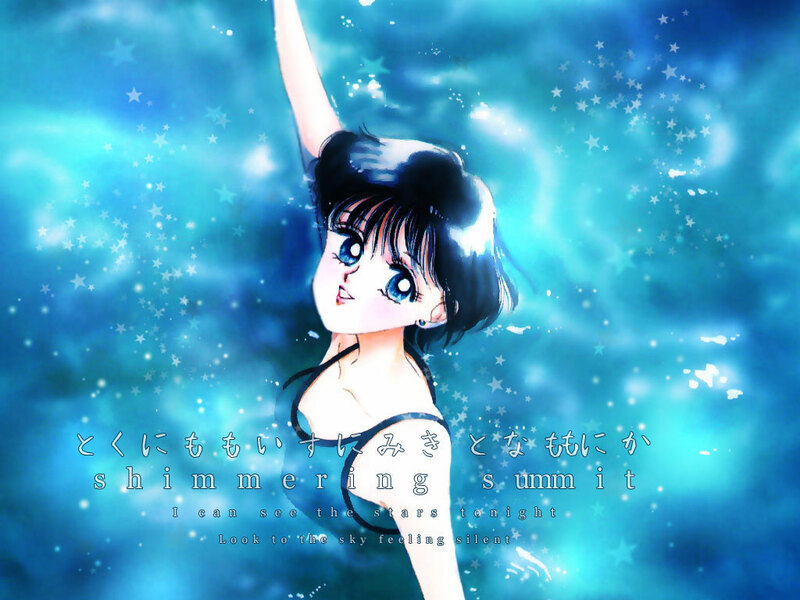 This wallpaper is of Mercury or Ami swimming in the pool and I decided to make her look at the sky or something. The water is so clear she could see the stars guiding her to something. I guess thats what I can say behind the story of this wallpaper. I can't make you like it or whatever just look at it and enjoy! wow! I made the original image great in this wall!